With SB 553, Salem is further limiting schools’ ability to suspend or expel children. 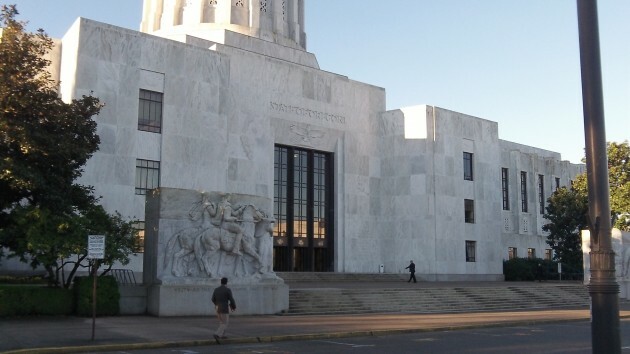 Oregon taxpayers might wonder what goes on in elementary schools based on a bill the legislature has just passed, and what will go on from now on. The bill is SB 553, and it prohibits the expulsion or out-of-school suspension of anyone in fifth grade or younger for any offense short of causing “serious physical harm” or posing a “serious threat” to health and safety of others in the school. State law already limits when schools can kick a pupil out, and legislators were told that Oregon schools actually expel students at a rate slightly below the national average. But there’s been concern that minority students — Latinos, Native Americans and especially African-American children — are suspended or expelled at percentages that exceed their respective shares of enrollment. And of course, once children are excluded from school for misconduct, their chances of learning anything useful go down and the chance for further trouble goes up. So you can understand the motivation behind SB 553. Still, is this bill really a good idea? Do our schools need any more legislative mandates as they try to keep order? Among much other information, legislators heard the following comparison in favor of the bill: In the schools of New York City in 2011, suspensions numbered just under 14 per thousand students in kindergarten through 12th grade, while in Oregon there were almost 84. But are the public schools of New York City a good yardstick for the best methods of dealing with unruly children and older students? Do we want our schools to be more like New York’s? The disruptive students aren’t learning anything anyway,. They DISRUPT learning by the other students. This problem will be exacerbated. Long gone are the days when students had respect for the authority teachers wielded. Allowing teachers to “teach” and have the control of classrooms to do so — withOUT helicopter parenting, mis-guided pablum of rules for classroom discipline, etc., could go a long way to help IMHO.